Dubai: Wing, a mobile and web-based delivery platform, only launched operations in June 2016, but the Dubai-based company is already looking to expand its operations beyond the UAE and nearly tripling its revenues. 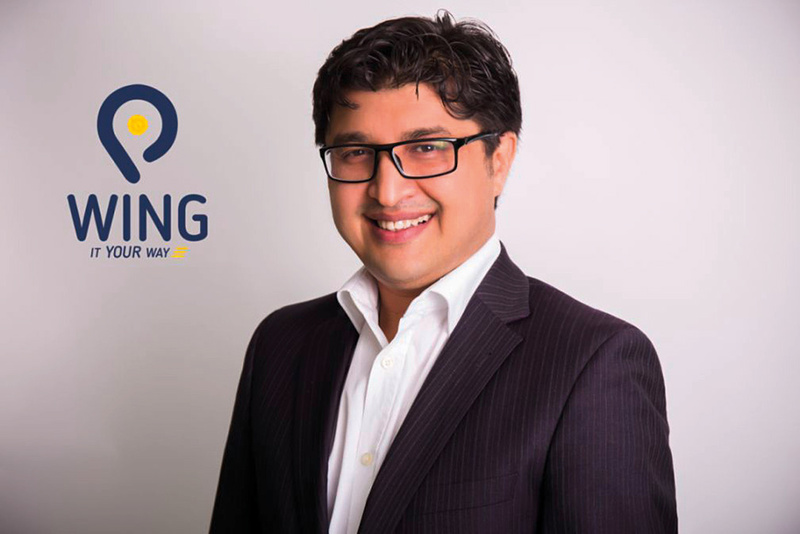 Muzaffar Karabaev, founder and chief executive officer of Wing, said the company is also aiming to more than double its deliveries by the end of this year. Wing currently has around 1,000 deliveries a day, and is aiming to have around 2,500 deliveries by the end of 2017. “We should be doubling our delivery size by the end of this year, and those are our main end-of-the-year targets as of now. Our revenue targets would be close to $3 million [Dh11 million] by the end of the year compared to around $1 million now,” he said. In an interview with Gulf News, Karabaev said Wing is planning to expand its geographical footprint in the region and beyond that to other emerging markets. Its operations currently span the UAE. “We’re entering Saudi [Arabia], so our plan is before the end of the year, we’ll be fully operational in Saudi. We need to crack Saudi first, and if it works, obviously, we’ll go to the rest of the GCC with the franchise model. Out of the GCC, we want to be one of the first start-ups that goes with the franchise model anywhere in the world,” he said. Wing does not operate its own delivery service. It works as a platform that connects merchants (retailers) with courier providers. And that business model is a unique selling point for Wing that Karabaev wants to leverage, as it offers retailers a wide range of courier providers to ensure easier delivery processes and delivery across all locations. Wing is also looking to expand its customer base by over 30 per cent and is in discussions with several courier companies across the region to help achieve that target. The company currently works with 26 courier providers, with a target of reaching 60 by the end of this year. The reason behind Karabaev’s growth targets? Demand. “Next-day service and same-day service in the delivery market in the UAE is not yet very well developed. There’s a very good network for 48-hour service, but for next-day and same-day, there’s massive business out there to pick up,” he said. This will be aided by the expected growth in e-commerce in the UAE and the broader GCC region. A report by global consultancy AT Kearney in late August 2016 said the e-commerce market in the GCC is expected to grow to $20 billion by 2020. Such growth is also expected to bring in changes in technology such as using drones for deliveries — an option that Karabaev said he would consider to boost Wing’s operations. “I think, in the long run, if the regulations are right, absolutely [we would consider utilising drones]. It’s just a matter of time. I think with the UAE being a place for innovation and Dubai being a great brand city, it will come, so we would definitely look at that,” he said.